Photography these days are becoming more reliant on smartphones. The phones have much better cameras these days, at the same time the pricing goes down. Point and shoot cameras have become a thing from the past, no one carries even these pocket sized cameras for regular photography. DSLR cameras are mostly popular with enthusiasts. Ask someone not so photography enthusiast ‘which device would you want to use to take a photo?’, the answer would be ‘my smartphone’ in most of the cases. 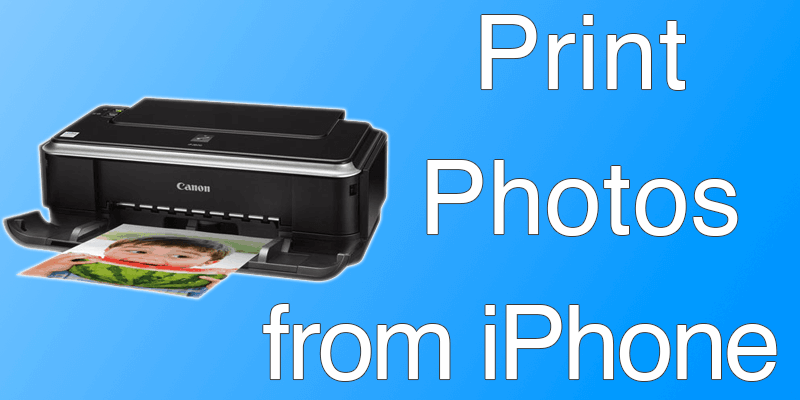 Learn how you can easily print photos from iPhone today. Although the trend of printing photographs are mostly fading away because in this era of social networking, publishing online is much easier. Yet, photo prints will never really go out of fashion because the paper printed photos do carry an amazing appeal that the digital screens don’t. 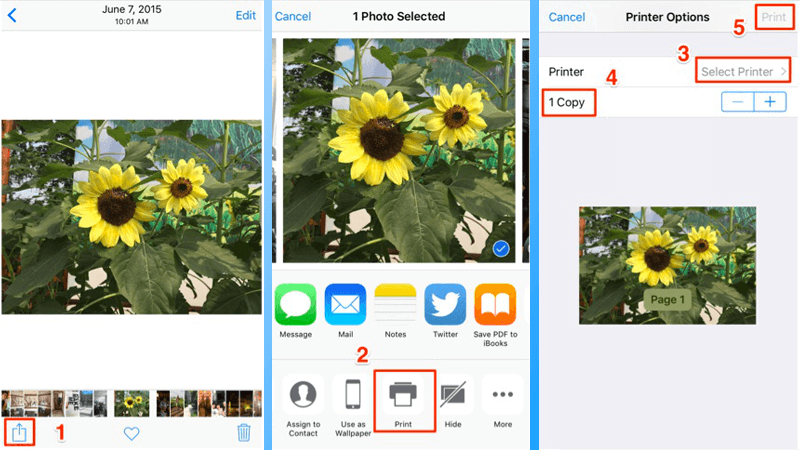 If you are looking for easier ways of printing the photos taken on your iPhone or any other smartphone, then we have 3 ways for you. Not all printers are photo-print ready. Maybe with a color cartridge you will be able to get something out, but that doesn’t really complement the quality you would get on a photo printer. However, if you happen to have a personal photo printer then bingo, you could directly take your photos printed out right away from the iPhone. To hang a photo somewhere or preserve in an old-school photo album, you should get professional photo paper. The colors on the photos you print will retain intact for years on professional photo papers – any other medium may not quite reflect the quality. Get an app named AirPrint and just send your photo from the iPhone to the printer – it’s that easy. However, as you may have realized by now – to AirPrint a photo, you need to have a printer that is supported by AirPrint in the first place. Also, some sort of networking between your home Wi-Fi and the printer may be necessary – depending on the printer. Below is an alternative way to Print photos from iPhone. Photo printing shops haven’t really closed down – you would find them in almost every shopping mall or stationary stores. However, get their email address and mail them the photos you want printed with exact specifications and preferences, if any. The local stores may not deliver the photos to your doorstep but as long as you can pick the photos up from the store premises, it’s fine. Once you get into a relationship with a store for some days, the whole photo printing job will get a lot easier. 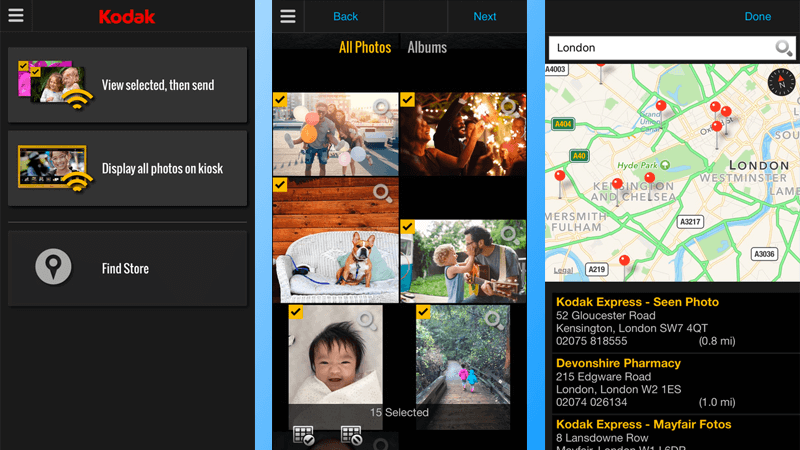 Few programs you could use – KODAK Moments App, Walgreens, Target etc. There are some printing services who accept photos sent over email or submitted directly through an App Store app. They print the photos and send to the owners mailing address once the job is done – a fixed price is taken for the overall job. The most popular printing services are FreePrints, PostalPix, SnapFish etc. If you explore little further, you might find some other photo printing services from your own locality as well. Conclusion: These are three ways you can get your photos printed. We’d recommend going with the 2nd and 3rd methods for the highest utilization of your time.